Challenge: The customer is looking for a turnkey, one operation automated process allowing a single pass solution for Stainless Steel Pins, used in Orthopaedic Drills, for example. 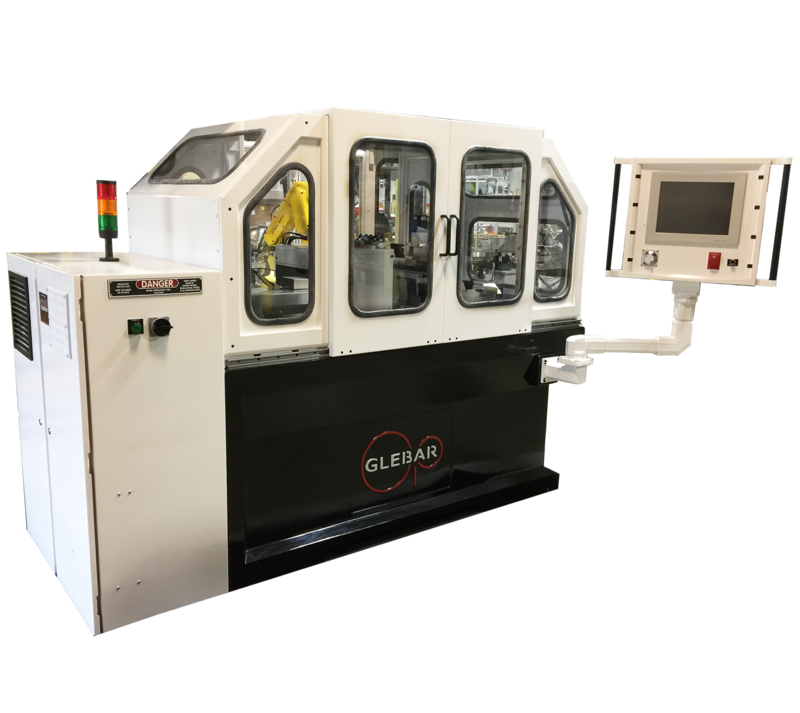 Able to hold extreme tolerances and fitted with a six-axis robot, cleaning, drying and gauging stations, Glebar’s automated GT-610 CNC Infeed/Thrufeed High Precision Centerless Grinding System answered the call. This solution delivers to the customer a turnkey, one operation automated process with one of the industries smallest footprints. The composite base provides an extremely rigid and stable platform allowing a single pass solution to achieve the required precision that customers have come to expect from us. The GT-610's two independent slides (upper and lower), which control the regulating wheel and the work rest blade position, holding the part being ground in place, provide significantly easier and quicker set up than traditional methods. The multi-axis controller can position both grinding wheel slides to a resolution of 0.1 micron (0.000004”). Built on a rigid composite base and now offered with a 12” work wheel and super-precision twin-grip spindle, the system was designed for the auto-infeed grinding of Stainless-Steel Pins. 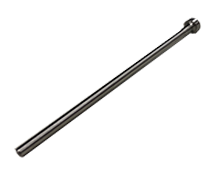 This shape is a general representation of the many devices Glebar has come across in the orthopaedic, aerospace, automotive and molding industries. (The GT-610 CNC can also process other medical and aerospace components such as Asthma Inhaler Valves, Arthroscopic Shavers and Aerospace Fasteners to name a few). This shape is a general representation of the many devices Glebar has come across in the orthopaedic, aerospace, automotive and molding industries. The GT-610 CNC can also process other medical and aerospace components such as Asthma Inhaler Valves, Arthroscopic Shavers and Aerospace Fasteners to name a few. Found at the highest end of the GT‐610 series spectrum, the GT‐610 CNC High Precision Automated Infeed/Thrufeed Centerless Grinding System excels at grinding a wide range of materials and is the complete "lights‐out" solution for applications where a high degree of automation, data gathering and gauging feedback is required. In addition to our 10" work wheel design, Glebar is now offering an ABEC 7 twin-grip work wheel spindle design (with 12" work wheel option) on the GT-610 CNC for increased rigidity, faster component processing speed and larger diameter parts.